Cleaning and weight gain simultaneously. How is that possible? Yes this is quite possible, but in varying degrees to different people and not without serious effort. The strongest influence on the benefits of the “Lean Gain” have the training experience, discipline, routine and the body type of the training person. The diet relies on a well calculated and strictly enforced diet, and supplementation. The diet is a specific system of intermittent starvation on a daily basis with a meal in the open window of time and increasing calorie curve towards the night. The balance between fats and carbohydrates depends on the physical activity of the training person in the current day. The system of reformation and maintenance of your the form “Lean Gain” is a serious development of Martin Berkhan which he elaborated in 2006-2007, while experimenting with different protocols of diet and exercise. Martin decided that it is best to eat in a narrow window of time beginning after his first workout for the day and so he began to seek scientific confirmation “for” or “against” that concept. As you will see below, a lot of neutral research confirm the lack of a direct connection between repeated feeding, hourly feeding, decreasing calories and weight loss. 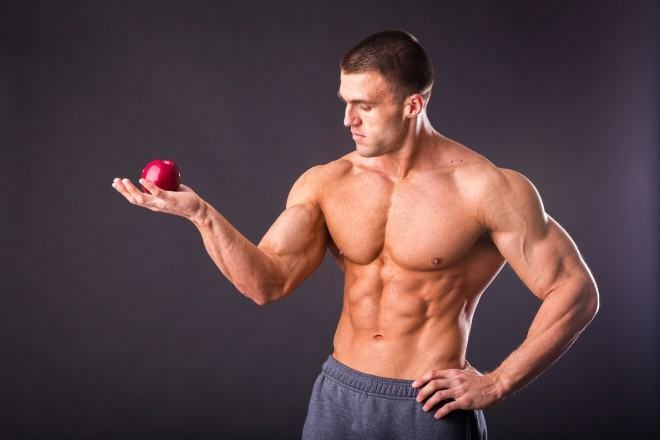 What is the Lean Gain Diet – Pure Gain? This is a calorie controlled feeding system that includes 14-16-hour intervals of periodical starving every day and a graph of consumed calories built on an 8-hour “golden window” after the workout. The diet uses two patterns of distribution of the substances: in training days emphasis on carbohydrate over fat (as in EBD – evenly balanced diet) and at rest is in the LCD (low-carb diet) protocol. Changes in weight and muscle tissue composition of trainees are regulated by calorie intake on a daily and weekly basis, the number of training days and their structure and specificity. Lean Gain allows smooth reduction of fat without losing muscle mass, slow increase of muscularity with retention of body fat as a percentage by weight or by reducing them despite a positive caloric balance. The system gives best results by maintaining weight and embarking on lean muscle mass. Our prediction is that the growth of muscle mass with “Lean Gain” diet (LG) for a fixed period of time (eg two months) and an identical caloric balance will lag slightly behind the HCD (high carbohydrate diet) and EBD (evenly balanced diet) – diets, but will surpass that of HF-LCD (high-fat – low carb diet). Regarding the fat rise we think that it ranks closely behind HF-LCD (high-fat – low carb diet) and excels EBD (evenly balanced diet) and HCD (high carbohydrate diet). The reduction in weight with Lean Gain diet is successful in calorie restriction on a weekly basis, but it should be borne in mind that the system is not made for weight reduction, namely for rise in the active weight – at that this is relatively one of the strongest variations for an intended specific nutrition. For whom is the Lean Gain diet designed? The diet is designed for experienced athletes with at least a year and a half training experience that can eat at a strict system by measuring the weight and calories and comply daily feeding schedule divided by the hour. 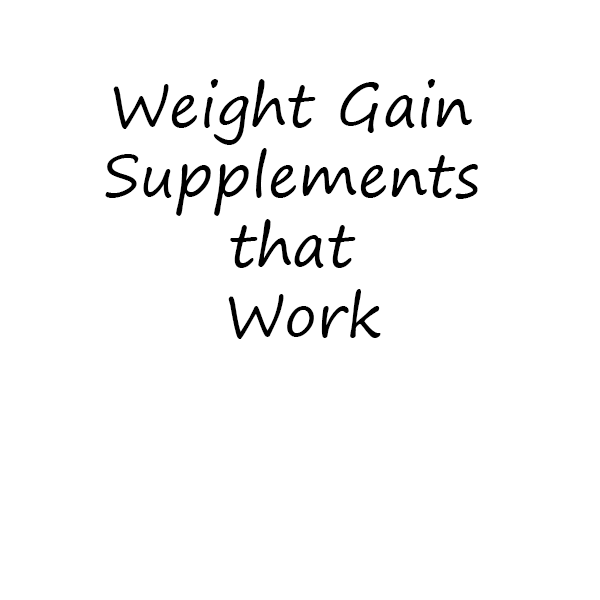 According to its creator, Lean Gain provides best success in men who leave a diet for reduction of fat and have already lowered their subcutaneous fat to 10-12%, and aim to clear extra in time along with muscle mass increase. This should not despair the ladies, simply for men it’s easier to reduce fat without losing muscularity. The diet does not work quickly, on the contrary – its effect is amplified over time, as required metabolic adaptation to the specific rhythm of food intake. Two months are enough for this, then the system begins to bear fruits. The benefits of following it in comparison with another time systems are leading in mesomorphs and maximum in endomorphs in which Lean Gain will give most significant contrast before-after. The daily restriction of calories and carbohydrates helps reduce the insulin sensitivity of the training person which helps for a cleaner increase of muscle, compared with HCD (high carbohydrate diet) / EBD (evenly balanced diet) systems. The decrease of body fat percentage in training and feeding by the Lean Gain diet is due to two factors: an increase in the active weight, which indirectly reduces the percentage of fat and actually decreases the fat during the “hungry” period, by using an increased metabolism and BMR (Basal metabolic rate) fuel calories in these “hungry” hours. The 8-hour window for nutrition begins after a workout and matches with the “golden period” for a post-workout recovery. catabolism of muscle during workouts themselves are stopped with large doses of BCAA (chain branched amino acids). The strict diagram of a daily meal model gives carbohydrate rotation and the smooth implementation of the caloric deficit allows the body to maintain lower average levels of the hormone leptin as compared to other diets, all of which consume carbohydrates. New in “Lean Gain” is the manipulation over the curves of several hormones – insulin, leptin, ghrelin. Leptin and ghrelin are two key hormones in the regulation of metabolic and lipid exchange of energy and impact directly on the feeling of hunger in the brain as they suppress / unlock it. Endocrine scheme for control of hunger and weight is really huge and worthy of an entire book, so we will summarize things briefly. Low levels of leptin lead to hunger. As a rule, people with low body fat have lower levels than those with a high percentage of body fat. So far, it is believed that the reason is that the sustaining of high levels of leptin leads to resistance and the body mitigates its response, so the result is delayed metabolism. The same goes for people under the influence of serious calorie deficit. Their levels of leptin jump seriously, they clench their teeth and ignore the hormone and their feelings and metabolism slows down, or they slip and that leads to yo-yo effect and overcompensation of fat stored in fat depots. Things get complicated by the natural tendency of some bodies to react more strongly to the impact of leptin than others. 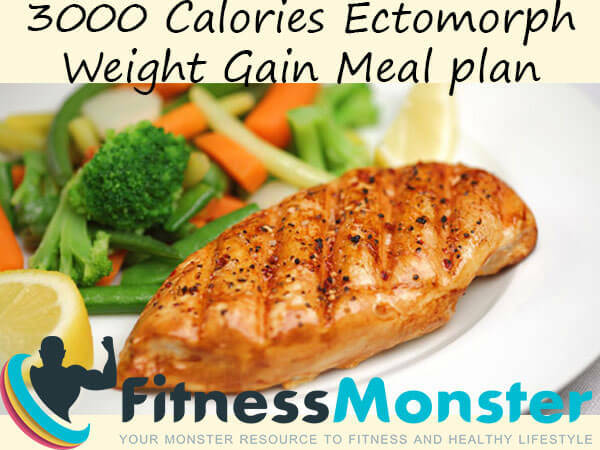 Ectomorphs, for example, may maintain an optimal metabolism at low levels of the hormone, without treading constantly with food. 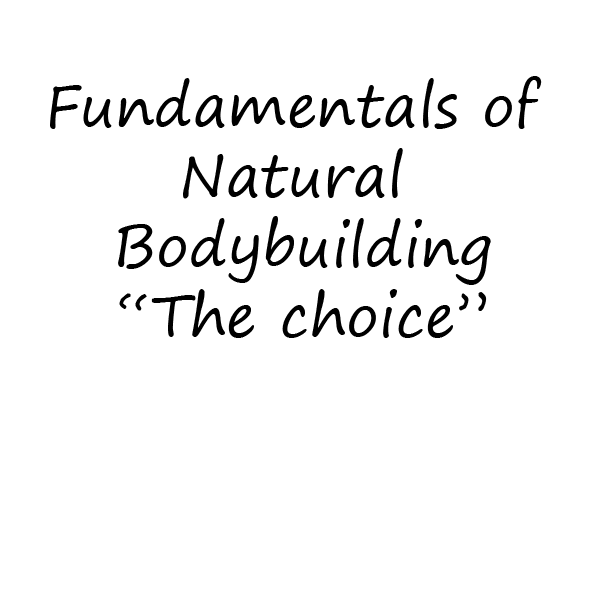 This is not true for other types and thus was born the need for manipulation of the hormone to get a combination of pure and massive athlete. In long-term aspect lowering the amount of fat (weaker mast cells) leads to incentives to the production of leptin, unless accompanied by a manipulation scheme of the sensitivity. This is where the hormone ghrelin gets in. This is a hormone secreted by the cells of the stomach and brain to signal hunger. If not suppressed by leptin (it is believed that they are oppositely connected) starvation occurs. The more ghrelin (empty stomach) and the less leptin there is, the more powerful and strong the hunger is. Sometimes the hunger is so strong that for satisfying it people tend to experience pain. We mention this, so not to scoff hunger by people who have never experienced it. Here comes the interesting part: you eat to stop the production of ghrelin and it does not affect leptin directly . It turns out that even if you overeat, you will still achieve slower and permanent decrease of the levels of leptin and in exchange fat levels will rise, better than if you starve yourself. The effect stretches and strengthens / weakens over time based on the incentives. Levels of ghrelin follow the rhythm of eating as predate it and the levels of leptin have a rhythm of their own that does not depend directly on nutrition. We can train the body to secrete ghrelin according to our biological rhythm, but that takes time. If you are used to eat breakfast, lunch and dinner at the same time, just before a meal you will produce ghrelin. If you change the pattern to afternoon snack, dinner and night meal for long enough you will change the rhythm. What Lean Gain diet does is to optimize the manipulation of these hormones to allow the body to maintain a high metabolism with a smooth reduction of the fat and respectively the leptin levels over time, while allowing insulin to stimulate muscle growth often enough. 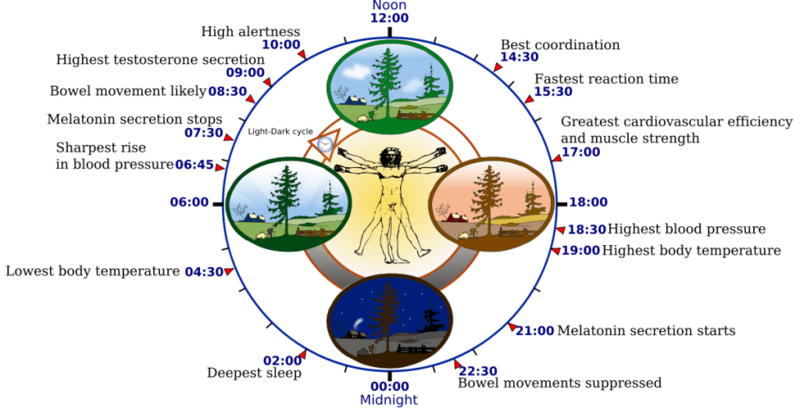 Calorie intake at fixed hours, often and by little or according to circadian biological rhythm? For years it was believed that to lose weight and get muscle mass it is needed to eat frequently in small meals and possibly without carbohydrates for cleaning and with many carbohydrates when increasing mass. Well, science tells us it is a successful model, but it is not the only one and it is not as accurate, as we thought it was. Increase muscle mass: simple pre-workout nutrition (amino acids, vitamins, minerals and small doses of carbohydrates and fatty acids) – training – post-workout 1, post-workout meal 2 and if possibly 3-4 according to the caloric balance. There is no direct evidence that people who eat in the morning, noon and evening weaken / gain more. Nor that a single high dose of calories and macronutrients lead to significant differences in increase/ reduction of fat, increase / loss of muscle mass and overall weight. Caloric balance for a specific period and sufficiency of proteins are key factors for the change, which remain as permanent impact in most modern studies. Lean Gain scheme is the most favorable for people who like to get up late, about 9-11 o’clock and tend to work out in the early / late afternoon and then work till late. While sleep, leptin levels fall further. For women, Martin recommendeds softened scheme with 14 hours and 10 hours starvation diet. Lean Gain relies on slightly positive (+ 10%), neutral (+/- 3%) or slightly negative (-10%) weekly calorie balance. Days with workouts are with positive caloric balance and the resting days are with neutral or negative according to the purpose of training person. Caloric curve has a peak in the post workout meal, after that it remains flat . Nearly 80% of the calories consumed in Lean Gain diet are from the post-workout window of 8-10 hours. Portion is taken with relatively equal protein intake in the meals during the time for calorie received, except in the post workout meal where we have carbohydrates and proteins in the ratio 1,2:1. Martin does not restrict protein intake of solid characters of 20-30-45 grams / meal. Instead, he uses a percentage of the whole protein throughout the day. The percentage of protein intake after meal is 35-40% of the daily and the carbohydrates is up to 50%. In later meals calories come mainly from fat. Balance of energy carriers fat:carbohydrates =? On training days, a food period: the balance is in favor of carbohydrates, like EBD (evenly balanced diet) diet, but the exact proportion is adjusted individually according to the training capacity and progress of strength endurance from workout to workout. On resting days, food period: the balance is in favor of fat as in LCD (low carb diet) protocol. It should be noted that Martin is very cautious with carbohydrates and he is not willing to lightly grant them to the people who exercise, ie without deserving them with mass training and starvation. In the starving time: no calories are consumed, absolutely none, even amino acids, protein, fructose, polyols, alcohol. Supplementation and protein intake in the Lean Gain Diet? The recommendations for protein intake are based on the objectives and activity of the day. Act on EBD (evenly balanced diet) in training and LCD (low carb diet) it resting days. If you are going to loose weight, compare with EBD (evenly balanced diet) to maintain and LCD (low carb diet) for weight loss. Solid dosage of BCAAs – their intake is essential for pre-workout meal. They can be combined with isotonic drink with a minimum sugar content. Yohimbine and Caffeine – in combination before training or before cardio exercises. In periods for fat reduction, caffeine is taken only in sprint or in training days and Yohimbinat a partial intake several times a day in all days. L-carnitine – after the last meal – a massive dose that will increase the oxidation of fat in the hungry period. Minerals and vitamins – in post workout meal or with the first meal of the day. Protein shake – whey is suitable for food fortification with slow protein in post-workout meal and matrix proteins can be used in a last meal, if the athlete can not provide slow protein intake. There are no strict limitations as long as you eat and calculate. Of course, it is advisable to eat natural whole products with minimal processing, heat treatment and in the most fresh form. Whether you eat vegetarian, paleo or you will rely on supplements and sports nutrition, this will not affect your progress in terms of active weight: fat. Some foods with high thermal index such as cabbage, broccoli, cauliflower, etc. can even lower the caloric value of the consumed food. Do not fall into such details, it all fits on a weekly basis. Food pyramid at the Lean Gain diet relies on cereals, oils and fats, meat, eggs and milk. Seeds and nuts are neglected and vegetables are only supporting the rations, the idea is not to overdo them, especially with those with low starch levels. Fruits are desirable mainly in afterburn meals, along with the protein. Including chicken steak with mashed banana, brown sugar and cinnamon – does not sound bad for a post-workout meal at Lean Gain. Baked potato with chicken is more likely in our latitudes, of course. How to train during Lean Gain diet? Balanced composition of intensity in sets – basic movements with inverted pyramids, standard 70-85% of PM1 at many joint movements with repetitions 6-8 and 50-70% at 1 PM at insulating movements with 10-12 repetitions. Up to five movements a workout, around 2-3 series at many joint movements and 1-2 for insulation. Three to five workouts a week. The reduction of fat is reinforced by the monotonous cardio (path on a slope, cycling, stairs, cross simulator on low rate) for 30-45 minutes. Protein poisoning (bad calculated intake of protein / kg). In healthy people LG can be a major diet without the necessity of applying it in limited time frames. There is no necessity of special preventive tests other than the standard blood count and urine twice a year. If this Lean Gain – the Diet System of “Pure Growth” article was useful to you, please use the share on social networks button so it can reach more people. Thank you!